Most horror movies are based on something, whether it be books, comics, video games or—most commonly, these days—other films. Almost everything is an adaptation. Pop culture is recycled and repurposed and has been for decades. It’s just the way the entertainment industry works. If something is popular, people want more of it. When Stephen King became a hit on the page, he became a hit on the screen. When Blade and X-Men took off in theaters, it led to an age of comic book movies of which we are still in the middle. Not all of these adaptations work. Some are just bad. Some are fine as their own individual film but fail in the actual adaptation process. A part of this may come down to the studios, who want everything to be an adaptation, even when filmmakers might want to come up with original material. This can lead to original scripts being repurposed as big screen adaptations, which happens more often than you might think. These films prove that adaptation can be a loose term, with varying results. Anne Rice offered to write the follow-up film to Interview With the Vampire for deferred pay and was still turned down, instead leaving us with the much-maligned Queen of the Damned. This one suffered most for trying to condense two separate novels, both lengthy in their own right, into one feature film. As entertaining as Wes Craven’s Swamp Thing is, it doesn’t recapture the incredible, poetic tone of Alan Moore’s Saga of the Swamp Thing comic series on which it is based. The film is a campy adventure-romance, whereas the comic was incredibly dark and bleak, though poignant at the same time. It’s recognized as one of the best runs in comic book history, where the film—while it gained an audience—was a flop that hurt Craven’s career for several years to come. Joe Dante’s The Howling is a great movie, one of the best werewolf features ever made, but it has very little in common with the book on which it is supposed to be based. Both are compelling in their own right, but the novel is much more of an investigative mystery when compared with the film. The werewolves in the text also differ quite a bit, as they are, for the most part, just regular wolves which are slightly larger than normal. 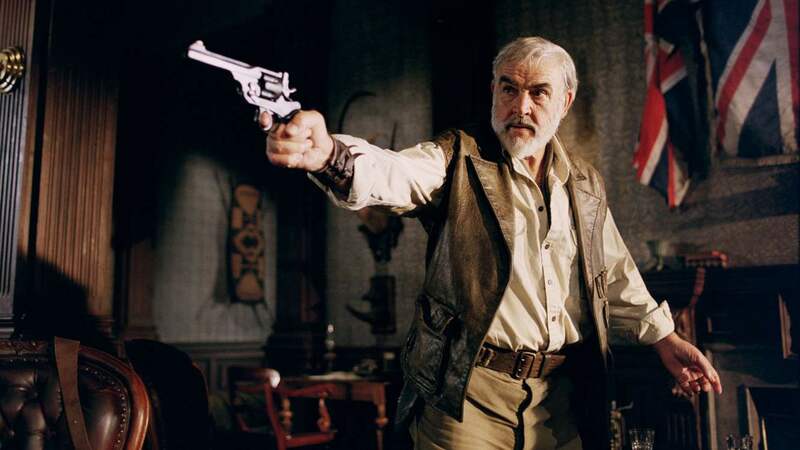 Another mishandled adaptation of an Alan Moore comic, The League of Extraordinary Gentlemen is trying to be a big, explosive action spectacle when the source material is anything but. It would have done much better in our current climate of period genre TV, but the film was a financial and critical flop that had little more in common with Moore’s book than the character’s names. While the short-lived TV show was much more faithful to the source material, Constantine has almost nothing in common with the Hellblazer comic beyond the most basic story elements. It was almost as if they skimmed the Wikipedia page beforehand and that was all the prior knowledge of the material they needed. 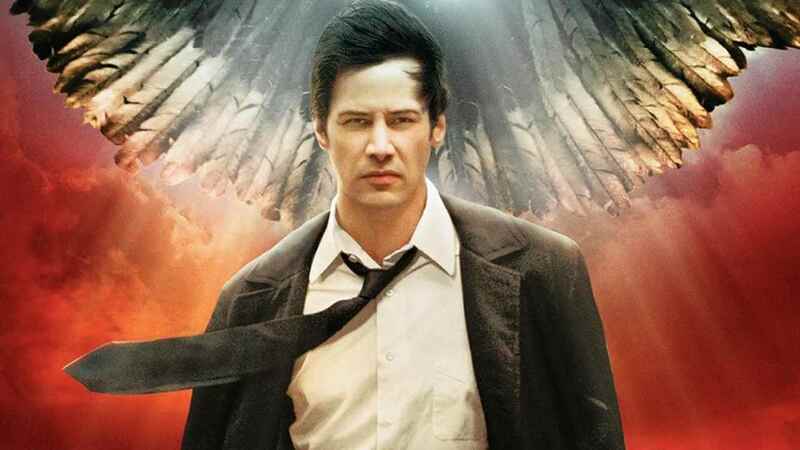 Keanu Reeves was the wrong person for the part, but the whole movie had its share of issues as well. The Shining is usually touted as the go-to unfaithful Stephen King adaptation. But while it differs quite a bit in subtext and tone, The Shining still follows the basic story of the book. The Lawnmower Man, on the other hand, has nothing to do with anything in King’s short story or even any of King’s work in general, except using his mysterious government organization “The Shop.” This wasn’t enough for King, naturally, who sued to have his name removed from the title.